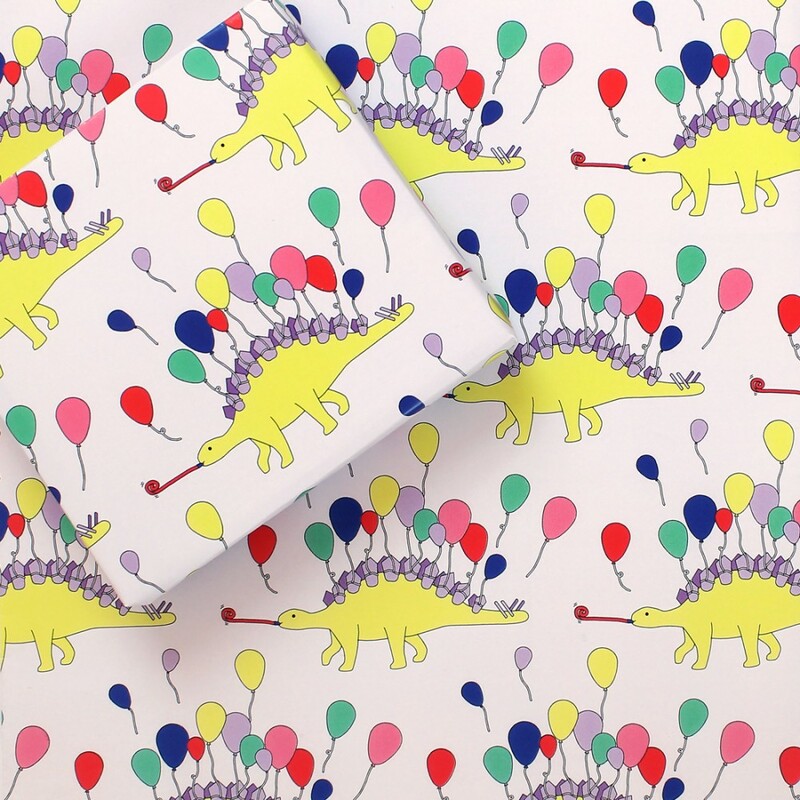 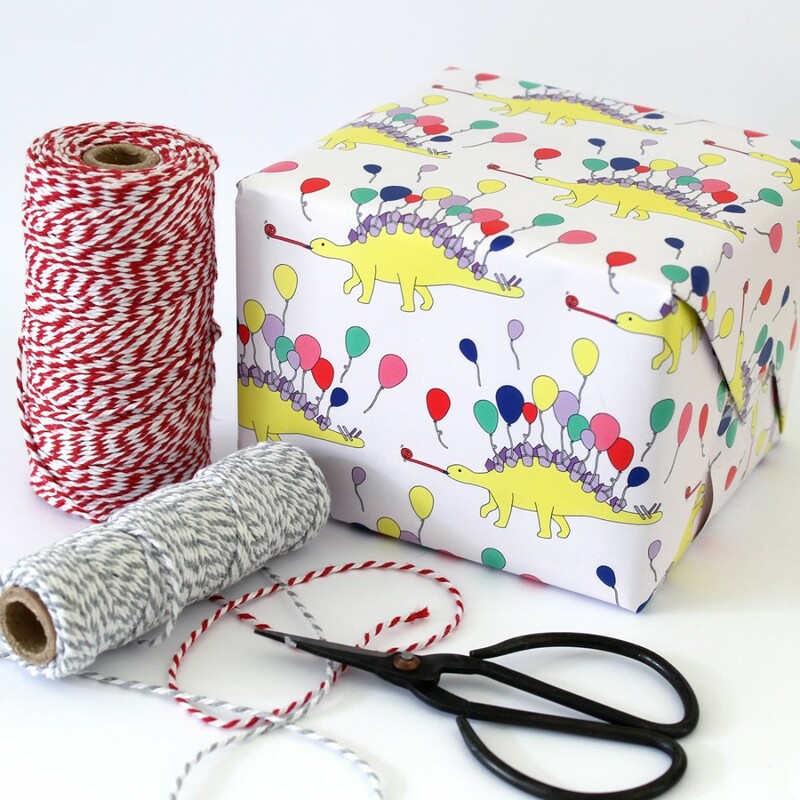 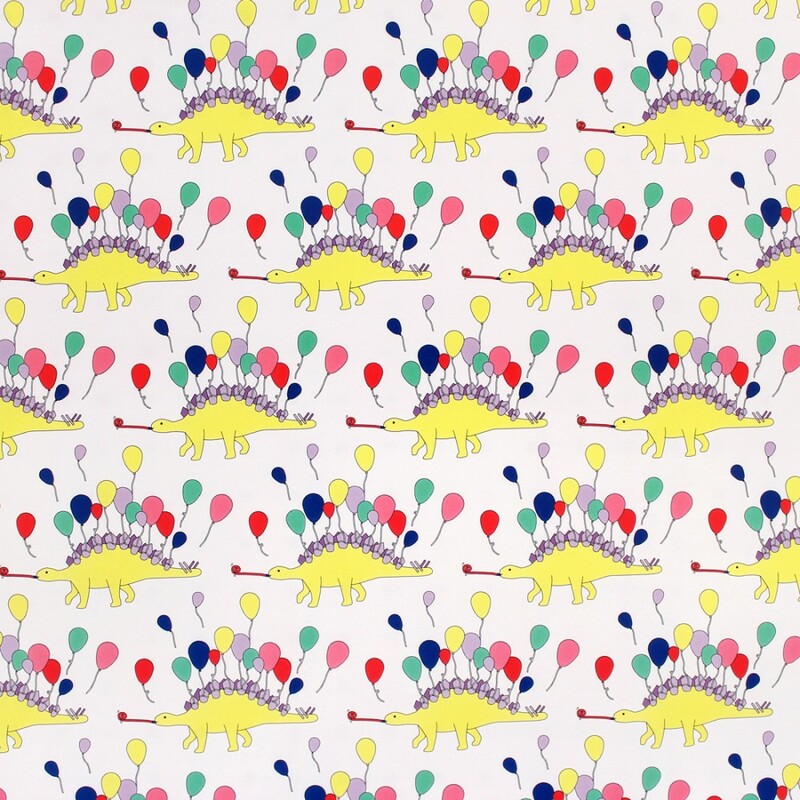 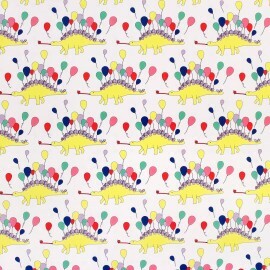 This fun wrapping paper is great to wrap birthday presents for kids of all ages! 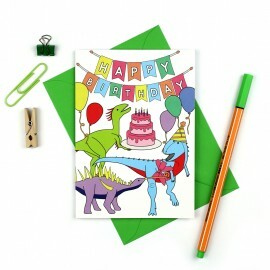 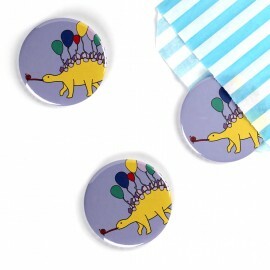 This cute stegosaurus is all ready to party with his balloons and whistle! 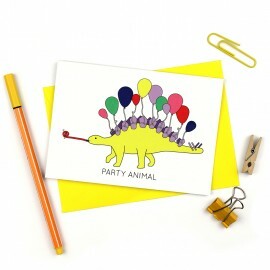 A cute fun..